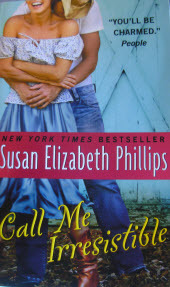 chose to read a book that has a "Western" theme, Susan Elizabeth Phillips' Call Me Irresistible. It's really not Meg's fault. It's not her fault at all. Ted is all wrong for Lucy and Meg knows it. It's not that she wanted to break up the wedding and have Ted all for herself. It's really isn't, but once it happens,the entire town of Wynette, Texas has it out for Meg. Now Lucy has run away and Meg is left to clean up the mess. 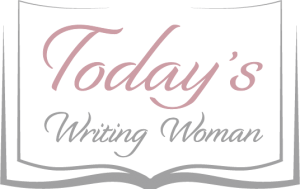 Left with out any money, and cut off by her family because of this huge misunderstanding, she must know use her wits to get what she needs in order to move on with her life. Ted Beaudine is what every woman would call, Mr. Irresistible. He is the hometown hero as it were and a professional golf player who is trying to do something to help Wynette by building a "green" golf course to entice more tourists to the area while also being "kind" to the environment. So what's a girl to do? Well, she'll scrub toilets, make beds, live in a renovated church and drive the drink cart around the local country club golf course. Oh and let's throw in a little mystery while we're at it! Along the way, Meg really does fall in love with the heartthrob and ends up saving the whole town to boot!